Children love to have a special place to put things, thus these sweet decorative mittens are sure to please little ones. Made by the lovely Kata Golda company, each mitten is hand-stitched with either hand-dyed off-white or cheery red wool felt with red or white thread and connected by 12” of machine stitched cotton twill. Each pair of wooly mittens comes with a baby mouse and bear cub finger puppet that fit perfectly onto your child’s finger and then cuddle snugly away in a mitten when play time is over. A perfectly adorable tiny Christmas gift to bring warmth and cheer to the season. Children love to have a special place to put things, thus these sweet decorative mittens are sure to please little ones. 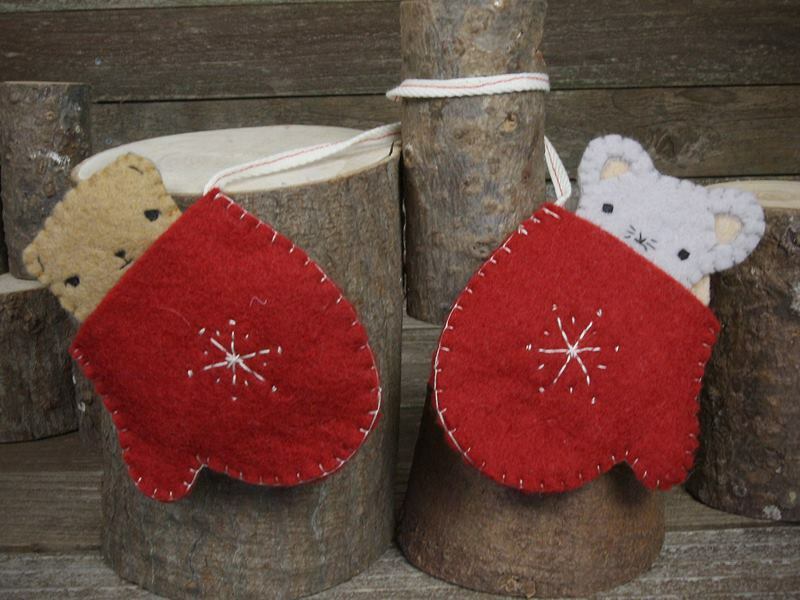 Made by the lovely Kata Golda company, each mitten is hand-stitched with either hand-dyed off-white or cheery red wool felt with red or white thread and connected by 12� of machine stitched cotton twill. 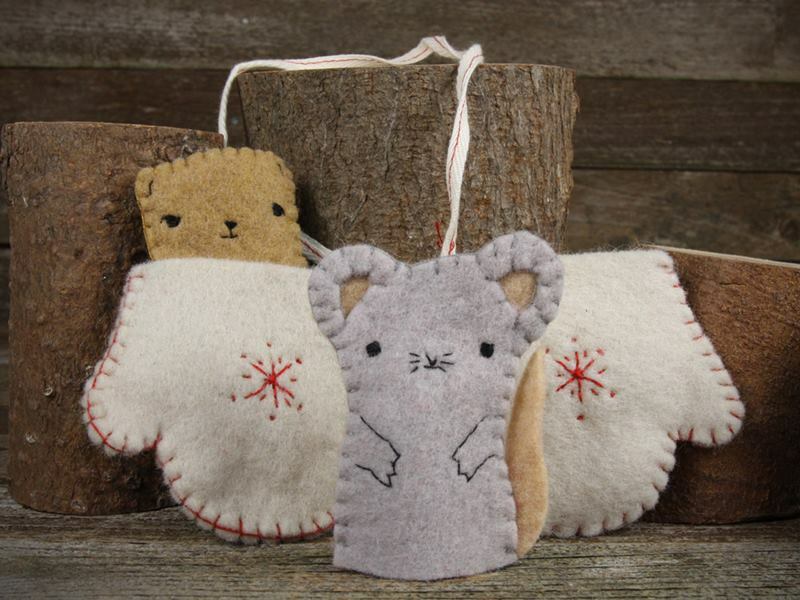 Each pair of wooly mittens comes with a baby mouse and bear cub finger puppet that fit perfectly onto your child's finger and then cuddle snugly away in a mitten when play time is over. A perfectly adorable tiny Christmas gift to bring warmth and cheer to the season.